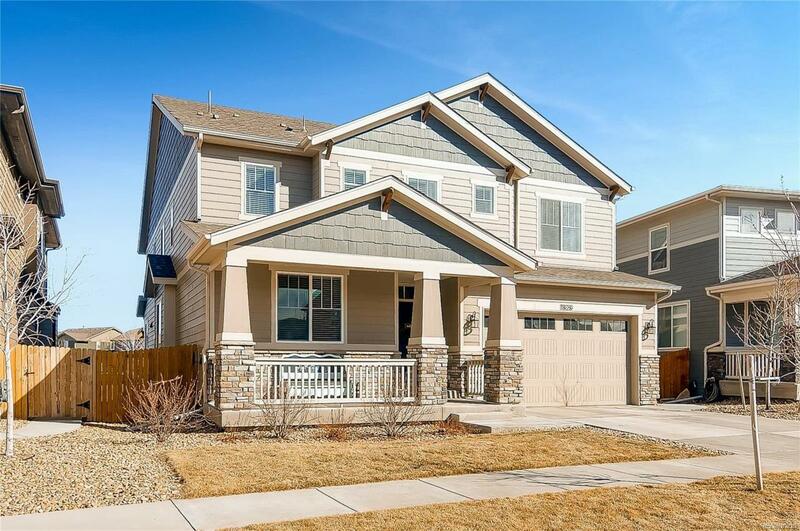 This GORGEOUS newer home has it all!! The minute you walk in you will fall in love! Gleaming hardwood floors greet you at the entrance & flow seamlessly into the spacious great room featuring 2 story vaulted ceilings with beautiful stone fireplace. Chefs kitchen w/over-sized granite island, double ovens, gas cook top, SS appliances, back splash & large walk in pantry! The kitchen/family room combo makes it great for entertaining & everyday living. Formal dining room is perfect for holiday parties! Main level office. Mudroom w/built in benches & coat racks. Upstairs you'll find 3bdrms+an enclosed loft which can be used for a 4th bdrm! Master suite with 5 piece master bathroom, tiled shower w/bench, vanity, oval tub, his & her sinks, huge walk in closet & entry way to laundry room which makes it very convenient. Perfect sized backyd that backs to open space. Concrete patio w/pergola perfect for those summer BBQ's!! Don't miss out on owning this BEAUTIFUL home in wonderful neighborhood!